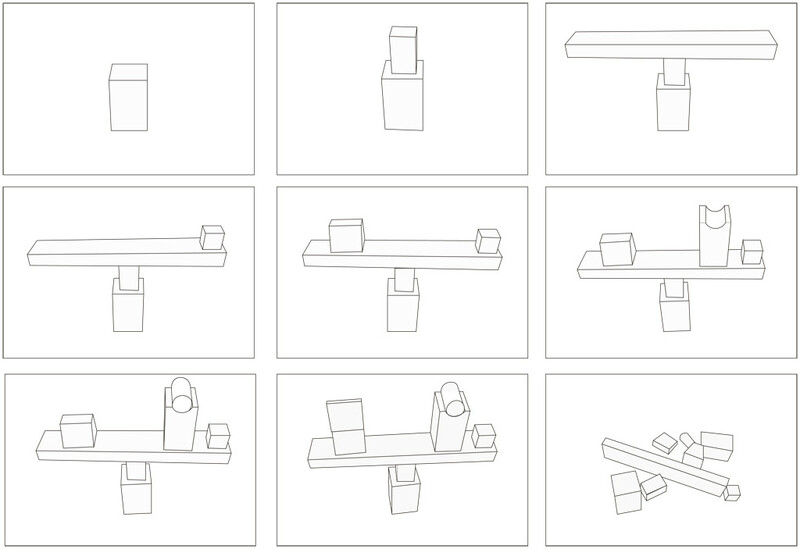 My chosen Archive object consists of 15 wooden stackable blocks packaged within a rectangular card box. In order to fully explore the potential forms achieved by playing with the stackable blocks I took measurements of the original shapes and created scale replicas, thus allowing me to explore the relationships between the various loose shapes and potential forms via balancing the shapes. Via exploring the potentials forms generated from the shapes, I have compartmentalized the potential structures into three groups of difficulty: From basic builds, intermediate and advanced builds. Note: I have painted the facsimiles of the archived object white. This is to aid the eye in focusing on the stacked forms generated via the blocks as a whole, working as one against gravity.